This natural pool and waterfall can be found near the town of Ingiriya. Many local and tourists alike fall in love with this water body instantly and for good reason too! Nachchimale is well known for the tiny stream that runs from the waterfall area and forms a natural pool in the bedrocks below. This natural pool is refreshingly cool at all times and is a good place to rest and chill after a hike or trek in the forest around. 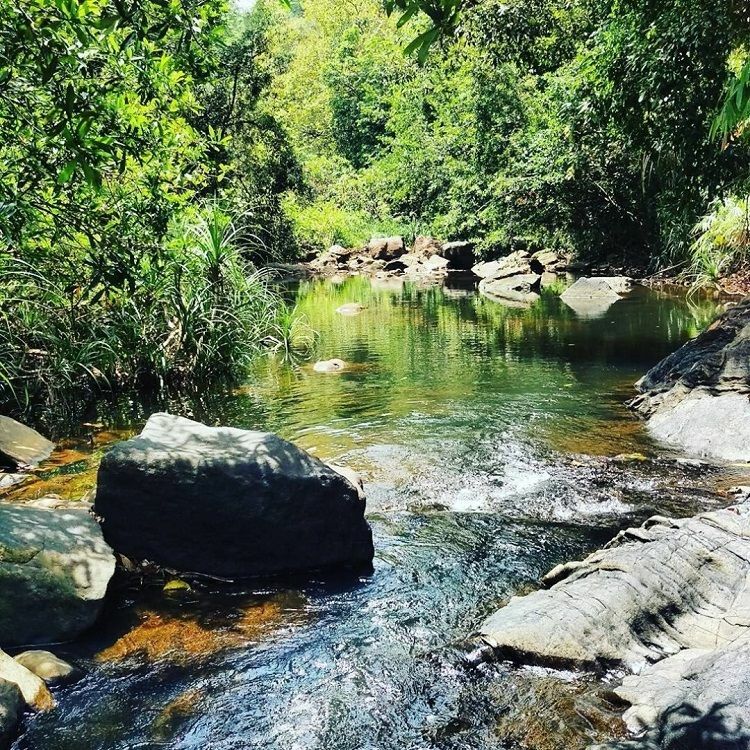 One of the quaint natural bathing places in Sri Lanka, the Nachchimale Stream is located near the town of Ingiriya. Walking through the thick foliage, you will also pass many tea bushes before reaching the stream, which is featured in many local blogs. The shortest distance from Kalutara is 48.4 km. Click here for directions. When you search in Google maps, look for “Madakada Aranya Senasanaya” since Nachchimale is not listed. This location is the temple located nearby the stream. There are many bathing places on the way to it. A refreshing natural pool that is nestled among rocks; the place is safe and you can take a dip in to cool off after a hot walk or climb in the hills nearby. People lounge by the stream and have a quick snack or catch their breath too. Some might even have a picnic here and spend the day by the waters. The place is popular among locals and you can expect many on holidays and weekends. As it is in the middle of a forest, lavishly applying mosquito repellent is a good idea; also, do not forget your sunscreen and an extra pair of clothes.